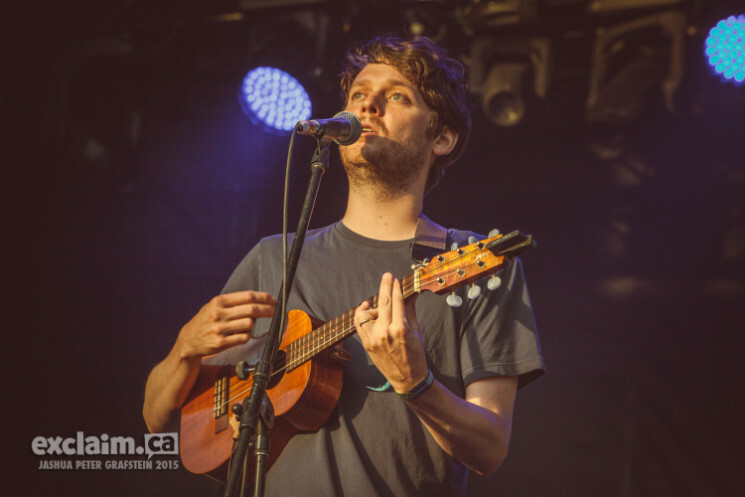 The lure of Beirut rippled through the crowd at the Whistler Stage, Zach Condon absolutely charming on ukulele for the opening of their set. Backups on trumpet, accordion and trombone, which characterize the band's sound, flitted across the park as "Elephant Gun" rolled out, the bliss of dreamy brass and melodic harmonizing between instruments a welcome relief from the heavier acts of the day. The crowd responded with bouts of slow dancing, and one inspired fan tried his hand at what appeared to be the cha-cha, to the amusement of onlookers. The grace with which Beirut hold themselves is palpable, and the eclectic band easily captured the crowd's affection with their powers to lull, most evident during fan favourite "Postcards From Italy," the signature duelling trumpets striking a powerful chord.